Some bands have the ability to make you feel like part of the family. 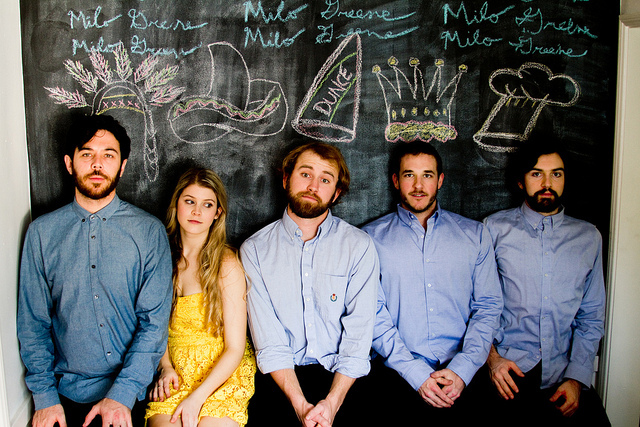 Such is the case with California’s Milo Greene, the pop/folk quintet that embraces rich harmonies, crisp acoustics, and heartfelt, small town lyrics to create an instant sense of warmth and familiarity. There should be little doubt that the band’s debut album, due out on July 7th, will be anything but the rustic, soulful goodness evident on their first two singles, Don’t You Give Up On Me and 1957. Enjoy. You are by far one of the best bloggers on the internet. When I read your blogs it’s like I’m transformed into the venue and listening to each and every band. Thank you Deuce311 for opening up my musical eyes.